Foxconn chairman Terry Gou has spoken out about the ongoing sale for Toshiba's memory chip unit, which has made headlines over the past few weeks as multiple companies have entered the bidding to win the sought-after unit. 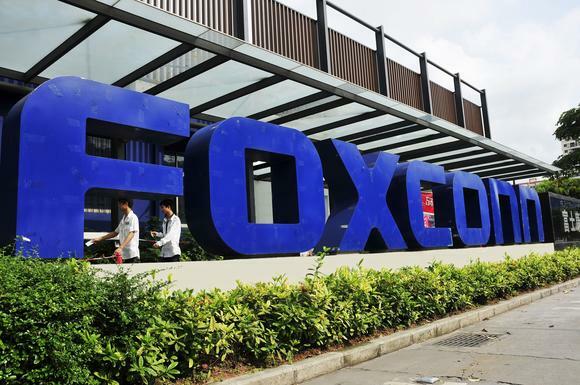 Previously, Foxconn was perceived as a long shot for winning the bid due to its connections with China, a fact believed to sit unfavorably with Japanese-owned Toshiba. Now, Gou is presenting points of argument as to why Foxconn's acquisition of Japanese technology would not hurt Toshiba nor the Japanese government, because he says Foxconn would not seek to import any of Toshiba's technologies to Foxconn's China plants (via DigiTimes). Gou argued that Foxconn is simply an enterprise "seeking new markets" in Japan, "and making investments in these markets is very normal." With Foxconn's help, Gou said that Toshiba has the potential to improve its technology so it doesn't lag behind the advancements of its competitors. Another point of contention for Japanese officials fearful of Foxconn winning the unit centered upon the company leaking secrets behind Toshiba's best technology, to which Gou said such a practice would never benefit Foxconn or any of its partners. Gou felt he had to speak out "to clarify many of the false accusations that have been made about Foxconn over the past few weeks." Gou said that leaking technology would not benefit Foxconn or any of Foxconn's partners, and would only hurt Toshiba's future development. With all the outcomes coming out negatively, there would be no point for Foxconn to leak IP, Gou stated. Gou noted that Toshiba's technology R&D will remain and continue to be processed in Japan, a pointed out that a company with leadership in technology development does not need to be afraid of being copied. Since Foxconn owns its production lines and plants, details of production procedures would be kept within the plants. Foxconn would also apply to patent Toshiba's technologies to prevent infringement, Gou noted. Gou finally said that Foxconn is simply "looking to survive" by bidding on the Toshiba memory chip unit, as well as reduce costs and improve its supply chain delivery times. The last we heard about the bidding, Foxconn had rallied U.S. companies Apple and Amazon to chip in funds to help Foxconn win the unit. Foxconn's first bid was around $27B, and it was never clear if additional funds would be enough to calm Toshiba's worries about the company's ties to China. In another corner of the ongoing bidding for Toshiba's memory chip unit, Western Digital has continued to go after Toshiba, this week seeking a court injunction that would prevent Toshiba from selling the unit without Western Digital's consent (via Reuters). Western Digital and Toshiba are partners in the chip manufacturing business, and the new injunction is said to have emerged after the U.S.-based Western Digital discovered it was left out of a new Japanese government-led group formed to come together and bid for the unit. Although sources close to the sale say that Western Digital's legal actions threaten to throw the whole auction "into disarray," Toshiba has said in a statement that it is proceeding with selecting a bidder "by the second half of June," as has always been planned. A final, definitive winner for the unit is expected to be decided by June 28.